Jeanneau’s new 64-foot flagship is a luxury yacht that is a perfect combination of sailing quality and fine styling. Nearly every aspect of the boat is powered, and from dropping the anchor to trimming the single-line mainsheet, most tasks can be controlled from dual helm stations aft. In the cockpit, the sailing area is separate from the lounging settees, so it is easily possible to be a passenger riding in style while others do what little work is required to sail the boat. The cockpit will be the most lived-in space on the boat when cruising in the Caribbean. Aft there is a vast fold-down platform that will be great for swimming, showering and lounging on warm afternoons. Inside the transom, there is a dinghy garage that will house a proper RIB and outboard. The Jeanneau 64’s interior, designed by Andrew Winch, who’s best known for his superyacht and large private jet interiors, is spacious, bright and functional while offering a high level of fit and style. It’s obvious the moment you step down the companionway steps, from the clean lines of the woodwork, and ample light from the eye-level hull ports, windows, and hatches. Superior quality is also evident on the leather-trimmed hardware and the overall fit and finish of the woodwork. The wide-open saloon can accommodate a crowd without feeling crowded. The settee is comfortable, and there is plenty of storage space. In Buddhism, Bodhisattva is the Sanskrit term for anyone who has generated Bodhicitta, a spontaneous wish and compassionate mind to attain Buddhahood for the benefit of all sentient beings. Bodhisattvas are a popular subject in Buddhist art. Master aft full width cabin with walk-around king size berth. Ensuite head with dry shower and electric head. Two forward guest cabins forward one port and one starboard. Each has a queen size berth and private ensuite head with electric toilet. Spacious salon with seating for 6 for formal dining. Extra large cockpit for lounging and alfresco dining. Drop down stern for swim platform. 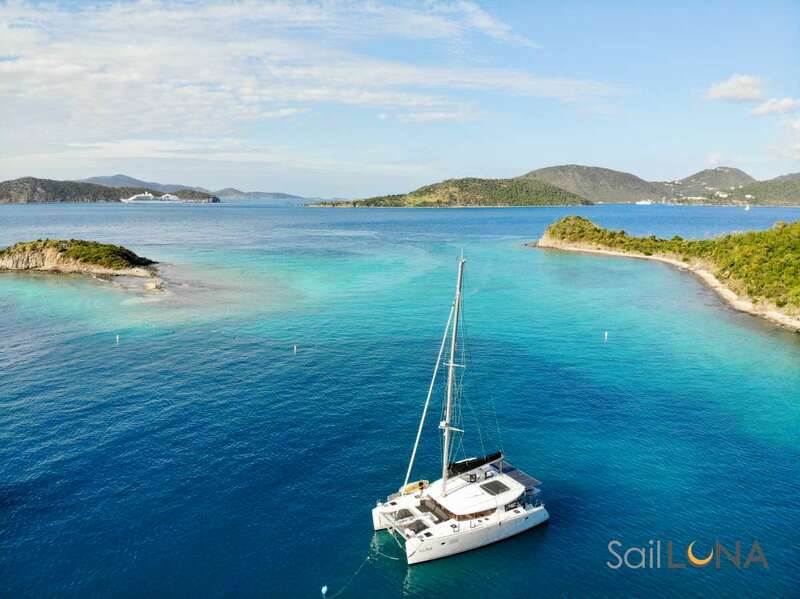 Offer: Bodhisattva offers 15% OFF any charter completed by Nov. 15th, 2019. Send us an inquiry to get specific pricing for Bodhisattva. Great trip! From the moment you arrive you are treated like a guest in their home. Everything was well organized and well prepared. They went above and beyond to make sure we were happy. Great Cruise!! Ian and Blair were great hosts and it was a very smooth sail. Highly recommend!! Blair and Ian were super friendly and very knowledgeable! The service was impeccable, truly 5 star. Fantastic cruise. Ian and Blair made us feel so comfortable. We had a wonderful time. Impeccable service, great wine, delicious food. Highly recommended and worth every penny. We will be back! We went on this cruise for our anniversary and Blair and Ian went above and beyond to make our vacation special for us. Five stars in all areas!